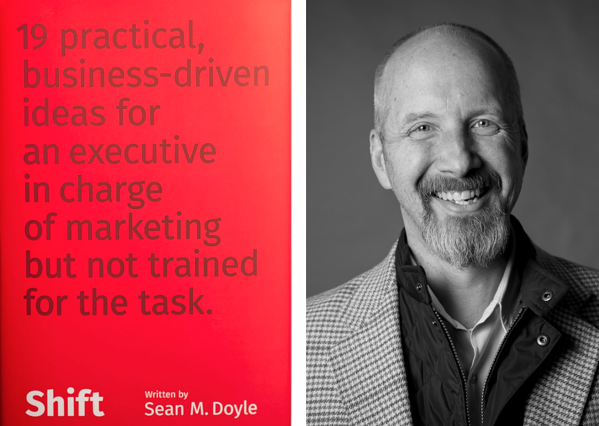 Sean is co-founder, principal and director of strategy for FitzMartin, Inc., a B2B sales and marketing consultancy that helps mid-sized companies solve their most pressing challenges. Reality: marketing is only a cost or cash-flow drain if it isn't done correctly. Reality: you may not use marketing as a serious business tool because you either think it doesn't work or you haven't learned to use it properly. Reality: you've assigned low-level assistance and paltry budgets to the marketing function. Neither will impact your company's performance. The truth is that your company’s sales process would be a lot easier if you learned how to use marketing properly. The problem is that most people who are running companies or have been thrust into a marketing role have not been trained for the task. If people in that situation only read one book about marketing, this is the one to read now. P.S. - If you enjoy the show, please rate it on iTunes, Google Play Music or Stitcher and write a brief (one sentence) review. Reviews help more people like you to discover the show! Don’t know how to leave an iTunes review? It's easy - click here for simple instructions. The Principal and Founder of Artillery, Douglas Burdett is a former artillery officer and Madison Avenue ad man. He also hosts The Marketing Book Podcast, where he interviews authors every week about the latest in modern marketing and sales. Subscribe to The Marketing Book Podcast Newsletter!